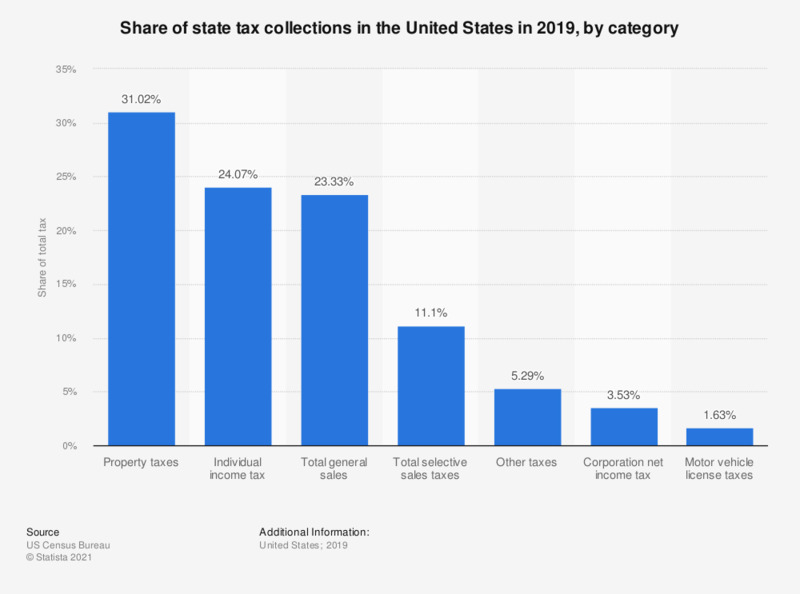 This statistic shows the total state tax collections divided by category in the United States in 2016. In 2016, around 37.07 percent of tax collected by the state was from individual income taxes. 1.97 percent of the total tax collected came from property taxes.